Added by Nancy Lynn on August 2, 2018. How do we receive psychic messages from the spirit world? They are transmitted to us through the Clairs, such as Clairvoyance (clear vision), Claircognizance (clear knowing), Clairaudience (clear hearing), Clairscent (clear smell), and Clairgustance (clear taste). We can also sense things through Clairtangency (clear touch) usually known as Psychometry or Clairempathy (clear emotion) known as having empathy for someone or something, and Clairsentience (clear feeling) having a gut feeling. Rather than giving you a short write-up on all the Claires in one article, I will address one Clair each month providing you with a broader explanation of each gift. Let’s begin with the one I am sure most of you have experienced, Clairscent (clear smell). There are other terms which have been used in this sense, such as Clairosmesis, Clairalience, and Clairessence; these all are the same psychic ability. We can receive smells in a variety of ways. Let me first explain that when experiencing this sense you receive a slight smell that has NO bearing on where you are or what you are doing. It is usually short in length though defined and recognizable, such as the smell of pipe tobacco, pizza, leather, roses, perfume, etc. It has been found that 90% of all psychic mediums with this talent rely on their ability to ‘smell spirit’ in order to validate loved ones who have crossed over or to identify the presence of spiritual entities. There are people that work with a Clairol factory psychic ability. This form of Clairscent abilities enables the person to ’smell energy’. The universe is composed of energy having a vibrational movement that will and can stimulate the odor-detecting receptors. With that being said, it allows a psychically gifted person in this area to smell a range of different areas such as sickness, spirits, unhappiness and more. The sense of smell is very unique in its ability to immediately evoke strong emotions within us, or trigger intense memories. It brings us back to a special place, memory or meaningful moment in the past like no other sense can. It also invokes the presence of a special person, time or place in our lives. It should be no surprise that a lot of mediums use this sense to define the presence of a loved one in a reading to validate or clarify a message that comes through. This profound Clair is often used by holistic healers to provide the medicine needed in a situation. Why do spirits communicate with us through smell? 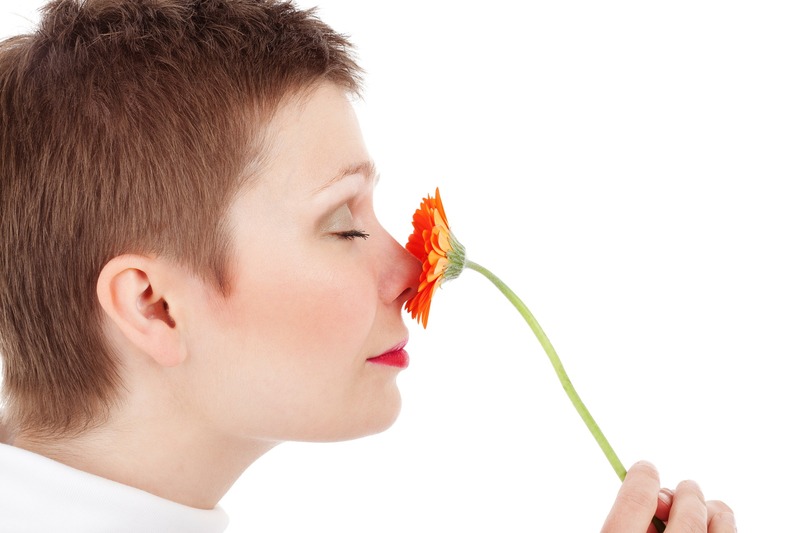 The sense of smell is a powerful and defined way of recognizing a person or experience. It is one of our most powerful senses and an easy way for the spirit to acknowledge to us that they are near. We have heard sayings such as, “The sweet smell of victory” or “she came out of it smelling like roses” or “it smells to high heaven” or “stop and smell the roses” when we are receiving intuitions or gut feelings. Some gifted psychics can smell illness or dietary shortage. This specialized ability helps the psychic to aid in alternative treatment and diagnosis. Psychics and mediums also use this Clair, the sense of smell, when associating with symbols for clarity and information they are receiving. This is done by developing the area through trial and error and building their own code of psychic symbols, for each meaning and sight, sensation and/or sound. Psychics have known from experience that odors or smells can reflect the state of someone’s health or aspects of their mood or personality. Interestingly science has supported evidence in recent studies that animals have a keen sense of smell and they have the possibility to use odor imprints to detect and analyze illness or to identify a person, similar to fingerprinting. The research found that dogs are able to correctly detect lung cancer 99% in sample patients and only had a 1% error in the healthy control set. Further research is ongoing. Dogs possess up to 300 million olfactory receptors in their noses, where a human has about six million. A dog’s brain analyzes scents 40 times greater than ours. So it can be stated that dogs also can sense the smell of their loved one who has passed over. So the next time a slight smell you associate with a loved one passes by your olfactory receptors (your nose), think of them and know they are watching over you and are there in spirit.